It's being called the "one ring" area code phone scheme. The Federal Trade Commission says the scam tricks people into making expensive calls. 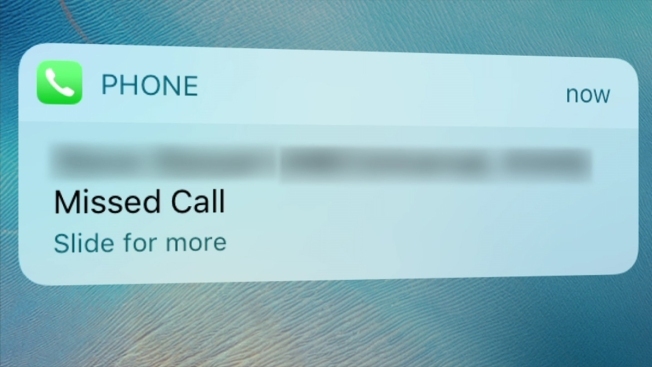 Here's how it works: Schemers will call your cell phone but let it ring just once so that it leaves the appearance you may have a missed call. Once the customer returns the call, they are hit with a per-minute charge at an international rate. The calls are from phone numbers that look as if they are regular domestic digits from an area code within the U.S. But, according to the FTC, they're really premium international lines. We're told calls made to these numbers can cost more than $20 for just the first minute. There are nine common area codes users should be on the lookout for, including: 268, 284, 473, 664, 649, 767, 809, 829 and 876. Experts suggest that if you miss a call and don't recognize the number, do not call the number back. If you have fallen victim to this scam, you should report it to the FTC.